Decorate your base with this scarecrow. Guaranteed to scare the crows away. The Scarecrow is a Halloween item. It appears only during the ARK: Fear Evolved event. 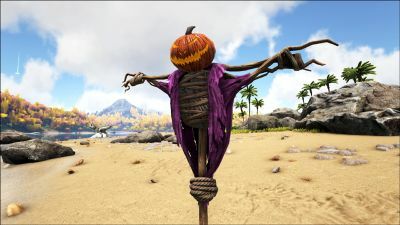 Scarecrows can be used to summon a Witch Hat Skin at the Obelisks. They can also be used for simple decoration. The Scarecrow is treated as a thatch structure and can be damaged by anything except non-explosive ranged attacks. 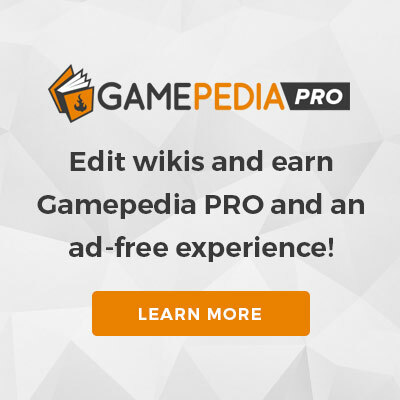 This page was last edited on 11 December 2018, at 19:13.